Start making your plans to join NAMA in Minneapolis this September for the 2018 Fall Conference! Register before August 31 and save money! Register Now. If you are planning to join NAMA in Minneapolis, please reserve your room at the Loews soon. August 31 is the cutoff date for the hotel — that’s in 16 days! Find all the information on the Fall Conference website. We hope to see you in Minneapolis! Join the North Central NAMA Chapter as they host the 2018 Fall Conference Ag Tour. Get a unique perspective on some of the most enterprising ag operations in the great state of Minnesota. The cost for this tour is $85 and includes breakfast and lunch. See below for a full schedule of the day’s activities. Does this sound like a great way to start off your Fall Conference experience? Register Now! CHS Savage Terminal | The CHS Savage Terminal was built to provide producers increased access to export markets via the Gulf of Mexico. The terminal is located at Mile 14.5 on the Minnesota River. For over 30 years, this elevator serves as a transfer terminal which also has limited storage. The Good Acre | Eat a catered lunch while hearing the inspiring story of a local food hub, The Good Acre. The company’s mission is to strengthen farmers, food makers, and communities through good food. Good Acre personnel work year-round to connect their network of growers to wholesale buyers so that farmers can turn a profit on their hard-earned harvests and focus on being stewards of the land. If you’ll be in Boone, IA for the Farm Progress Show, make plans to join NAMA at a reception hosted by the Cornbelt and Iowa NAMA Chapters. All are welcome, so feel free to bring your colleagues. Take a break and interact with other industry professionals on Wednesday, August 29, from 3:30 to 5:30 p.m. in the Exhibitor Food Building. It’s located outside of Gate #6 on the south end of Sixth Street and is part of the Van Wall building. Appetizers and drinks will be provided. If you have any questions, please contact Carly Cummings, (515) 210-5372 or Luann Pisarik, (319) 631-2383. On August 6, NAMA and NAFB welcomed Ag Media Summit attendees to a reception on the Stargazer Terrace at the Westin Kierland Resort & Spa in Scottsdale, AZ. Approximately 50 people were in attendance. This reception is the sixth such event hosted in conjunction with Ag Media Summit. Attendees had a great time networking with colleagues and friends! The Farmer Speaks study is designed to monitor the changing attitudes of farmers and important trends across a wide variety of product categories. For example, the study has shown dramatic shifts in the willingness of farmers to invest in certain capital equipment and a desire to substitute less expensive brands in certain crop input categories. Join presenters, Jan Johnson, Millennium Research and Jeff Whetstine, March Consulting. AAEA has an educational opportunity that could be of interest to all NAMA members! The AAEA Midwest regional workshop will take place on September 21 at CHS in Minnesota. Keynote speaker Stephen Wilbers, an internationally recognized writing coach, will be conducting the morning session, then attendees can choose from four afternoon breakout sessions on photography, image selection and optimization, online tools for audience understanding, and new technologies. The day will end with a panel of industry voices examining the role of ag communicator. Whether you’re a seasoned veteran, a still-learning professional or a student, you will find something to spark your interest at this workshop. Cruise into Minneapolis for the 2018 NAMA Fall Conference. This late-in-the-year gathering of ag professionals has grown into a can’t-miss combo of educational sessions and unbeatable networking. 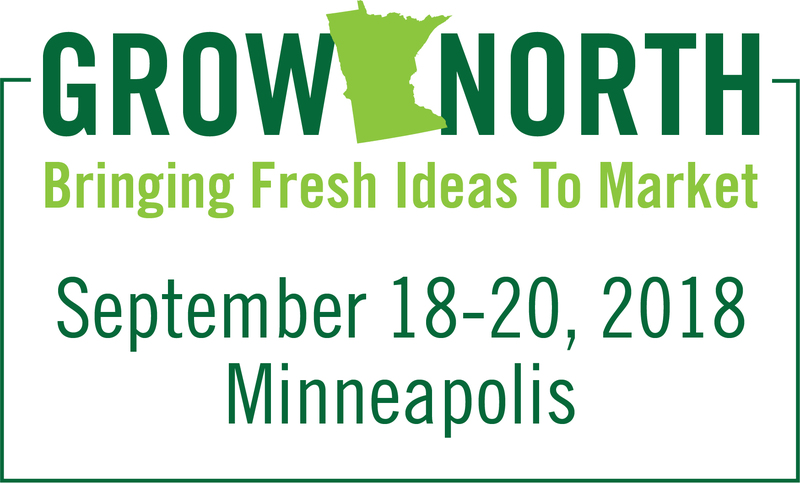 August 31 is the cutoff date on early bird pricing for the 2018 NAMA Fall Conference in Minneapolis. This event will sprout personal and industry growth through informative sessions and unbeatable networking opportunities. Trust us, you don’t want to miss out on this amazing opportunity. Click here to register now! The hotel for the 2018 NAMA Fall Conference is the Loews Minneapolis Hotel. The room rate is $194.00 and the cutoff date is August 31, 2018. Reservations made after August 31 are subject to higher rates and potential unavailability. Call the Loews Reservations Center to reserve your room, 1 (877) 878-5670. Make sure to mention the National Agri-Marketing Association when making reservations. Click here to make your reservation online. 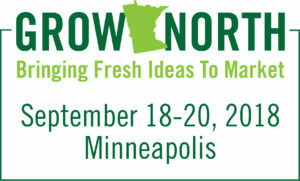 Mark your calendars and register today to Grow North with NAMA. Find out even more on the Fall Conference website. We hope to see you in Minneapolis! We are just two weeks away from the 15th Annual NAMA Boot Camp – and it’s not too late to register. Register online or call the NAMA office at (913) 491-6500. Even though the hotel cutoff has passed at the Kansas City Marriott Country Club Plaza, we still have some rooms available. If you need a room, please contact Lauren Chaney. Find a complete schedule of this year’s activities on the Boot Camp website. Join us for the MoKan NAMA Ag Tour on Wednesday, August 15! This is a one-day, on-farm experience where attendees will tour and learn about different nuances of agricultural operations in the surrounding area. The tour’s first stop will be at Raasch Family Farm, an expansive corn and soybean operation that also includes Carolyn’s Pumpkin Patch. Learn all about this interesting outfit. Next, the group will visit Green Dirt Farm in Weston, Missouri, where lunch will be served. This location includes the original barn, along with a dairy parlor and cheese kitchen, and reflects the owner’s commitment to bring the best sheep’s milk cheeses, yogurt and 100 percent grass-fed lamb to market. The last stop is Jowler Creek Winery, Missouri’s premier sustainable vineyard and winery. Attendees will learn about wine making and what goes into this family operation as well as a little wine tasting. Breakfast and lunch will be served as part of the tour and is included in the cost of registration. Dress: Casual, wear closed-toed shoes (no flipflops or heels). Please note: The MoKan Ag Tour is prior to the NAMA Boot Camp. While we hope that you’ll attend both, you do not need to be registered for Boot Camp to attend the Ag Tour. Check out the Boot Camp website for more information on both! Register today! Join NAMA & NAFB for a reception at the Ag Media Summit on August 6 at 9:00 p.m. on the Stargazer Terrace at the Westin Kierland Resort & Spa. The reception will be co-sponsored by the National Association of Farm Broadcasting. No need to register and everyone is welcome. The Ag Media Summit takes place August 4-8 in Scottsdale, AZ at the Westin Kierland Resort & Spa. For more information on AMS visit agmediasummit.com.